Two contrasting cases on whether legal fees in mounting defences which affected personal as well as business reputation are wholly or exclusively incurred for the purposes of the business. In Duckmanton v HMRC  UKUT 0308 a taxpayer's expenditure on legal fees in defending himself from a criminal charge of gross negligence and manslaughter was disallowed as not wholly or exclusively incurred for the purpose of his trade. The case went to appeal and the Upper Tax Tribunal agreed. In McKnight v Sheppard (1999) the taxpayer was a stockbroker, who had incurred legal expenses of around £200,000 in defending himself on a number of charges before the disciplinary committee of the Stock Exchange. The House of Lords allowed his appeal. Mr Duckmanton ran an unincorporated car transport business. In 2002 one of his drivers was involved in an accident in which a pedestrian was killed. He first blamed faulty brakes and then driver error. It was found that Duckmanton's workshop had falsified records and the vehicle had missed mandatory maintenance. The driver received a 12 month prison sentence, Mr Duckmanton was cleared of manslaughter but also fought charges of falsification of records and disqualification as a vehicle operator. He incurred substantial legal fees in his defence. HMRC disallowed these following an enquiry into his tax returns. The avoidance of a damages claim, if he was convicted. The FTT said that it would "defy common sense not to conclude" that his main purpose in incurring the expenditure was to protect his liberty and personal reputation. They confirmed HMRC's view and disallowed the expenditure. The taxpayer appealed to the Upper Tier Tax Tribunal on a technicality; that the FTT had erred in law by not considering all the evidence in its decision. Permission was granted for appeal, however, the UTT found the appeal "fanciful" and concluded that the FTT had made its decision properly. in McKnight v Sheppard (1999) 71 TC 419,  1 WLR 1333. The taxpayer was a stockbroker, who had incurred legal expenses of around £200,000 in defending himself on a number of charges before the disciplinary committee of the Stock Exchange and appearing before the appeals committee. The appeals committee set aside an order for suspension imposed by the disciplinary committee, and substituted fines totalling £50,000. The taxpayer sought to deduct both the fines and the legal expenses in computing his profits under Case I of Schedule D. On appeal from the disallowance of the deductions by the Inspector of Taxes, the Special Commissioner (Mr Theodore Wallace) found that the taxpayer’s exclusive purpose in incurring the legal expenses had been to preserve his business, although he had also been concerned with his personal reputation. Accordingly, the expenses had been incurred wholly and exclusively. The Special Commissioner’s decision on the legal expenses was overturned by Lightman J in the High Court, on the basis that there was an insufficiently close connection between the expenditure and the taxpayer’s trade. The taxpayer succeeded, however, on this part of the case both in the Court of Appeal and in the House of Lords. 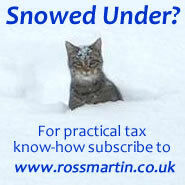 Arguing about deductions with HMRC? The above cases had different outcomes, as always they turn on their individual facts, however no claim can be made without consideration of developments of case law in this area, we provide a detailed summary of these in Wholly and exclusively...update.